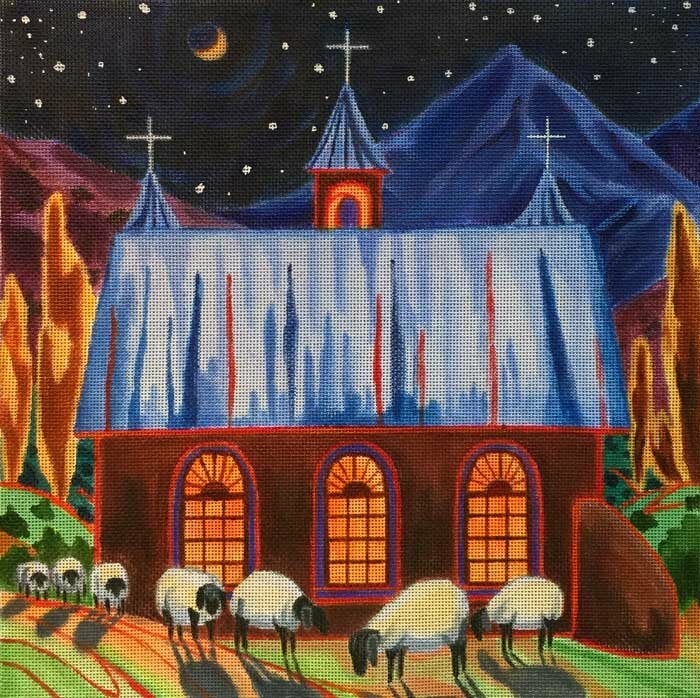 This spiritual needlepoint design of a winter scene at night with sheep and a church is handpainted onto 13 mesh Mono Zweigart needlepoint canvas. If you require stretcher bars we recommend two pair of 16"
This Nenah Stone Mission Sheep needlepoint design is sold canvas-only or with fibers. if you select cotton we will send DMC embroidery floss; if you select wool or silk we will send Planet Earth fibers. This Mission Sheep needlepoint canvas usually ships in about 1 week.